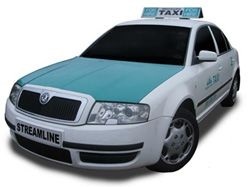 The official taxis of Brighton & Hove are the white and turquoise, Streamline taxis, with ranks outside Brighton and Hove Station respectively. From Hove Station, a taxi to The Brunswick should cost under £10.00 and take about 5 minutes. From Brighton Station, a taxi should cost around £10.00 and take 5 to 10 minutes. Uber has also been granted a licence to operate in Brighton. From Hove Station, take the 21A to Palmeira Square. Alternatively walk down to the bottom of Goldstone Villas (under 5 minutes walk), with Hove Station behind you, then left onto Blatchington Rd after the public toilets. The main bus stop into town is just round the corner. From here you can take a 2, 5, 5A, 5B, 24, 26, 46, 50, 50U to Palmeira Square and Western Rd. At Palmeira Square walk across to The Wick Inn pub and follow Holland Rd down towards the seafront. The Brunswick is at the bottom of Holland Rd on the same side as the Wick Inn (under 5 minutes walk). Brighton & Hove Buses have an iPhone app Brighton & Hove M-Tickets. Once you’ve downloaded the App, it’s actually cheaper and more convenient than paying with cash.The Brunswick is inside the network’s citySAVER area. 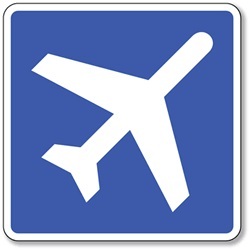 The nearest airport to Brighton & Hove is London Gatwick (30 mins by rail or car). The Gatwick Express train connects directly with Brighton. Taxis are very expensive; the National Express coach to Brighton is therefore the best option by road (1hr 10 mins). London Heathrow is within striking distance of Brighton (1hr 15mins by car). 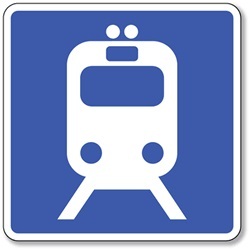 There is no direct rail connection to Brighton, but a National Express coach to London Gatwick (1hr 20 mins) is an option, then a train to Brighton. 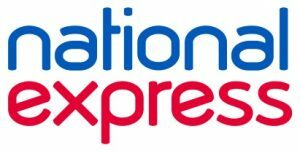 A National Express coach direct to Brighton is another option (2hrs 10 mins). The National Express service provides regular connections to Brighton’s central bus station at Pool Valley, Brighton. From here you can take a taxi from the Royal Albion Hotel along the seafront to The Brunswick (5 mins), or else walk across the Old Steine, up Castle Square and onto North Street, where you will find numerous bus stops. Jump on any bus and ask for a ticket to Palmeira Square. Virtually every bus will take you up North Street, past the Clock Tower, onto Western Rd, past Churchill Square and on towards Palmeira Square. Our venue is at the start of Palmeira Square on Holland Rd, which runs down from The Wick Inn pub.